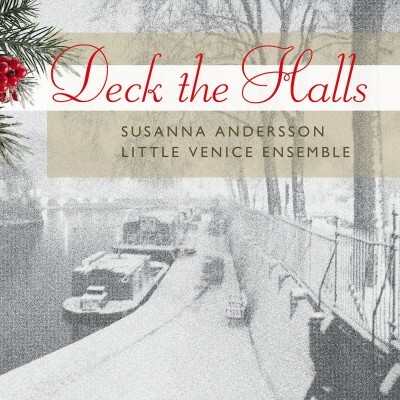 Little Venice Ensemble is the resident ensemble of Chamber Music in Little Venice and takes its name from a district in the heart of London just north of Paddington, where the Grand Union and Regent’s Canals meet creating a picturesque pool of water. Comprising some of London’s most sought-after musicians, the ensemble is currently building up a reputation for presenting music at the highest level within all genres, spanning from serious classical chamber projects to music in a lighter vein. In 2011 violist Karin Norlén founded the Chamber Music in Little Venice series together with her husband Jonathan Cunliffe who is Director of Music in the Parish of Little Venice. They met during their studies at the Birmingham Conservatoire. A few years earlier, violinist Björn Kleiman had started an Anglo-Swedish Music series in London and also ran a music production company. Karin and Björn share a passion for chamber music and soon started co-producing events. 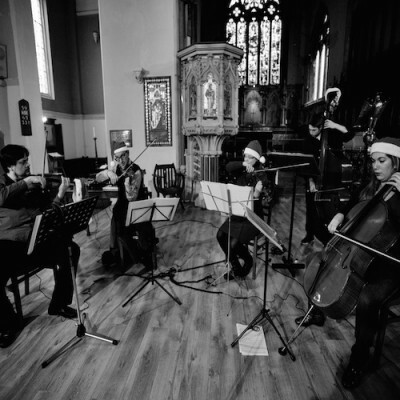 Having known each other since childhood, they wanted to form a flexible chamber ensemble that could play both serious and lighter music to a high standard. Karin plays regularly with the London Philharmonic, Royal Philharmonic and Royal Opera House orchestras and is a member of the Oxford Philomusica where Yuri Zhislin is co-concert master. The LVE’s first concert was performing the Schumann Piano Quintet and since then they have performed numerous works from the classical chamber music repertoire. Yuri is equally at home on violin and viola and enjoys an illustrious career as a soloist and chamber musician, performing all over the world. He is now a professor of violin and viola at the Royal College of Music in London. Björn had previously worked with fellow RCM graduate cellist Angélique Lihou, a member of the Southbank Sinfonia and cellist of the Cosima Piano Quintet. She is also an accomplished soprano and a member of electronic/rock band CIAM. They wanted to add a double bass for both classical and jazzy pieces so Karin invited Jamie Kenny who also works with the Oxford Philomusica and has played with the Gustav Mahler Jugendorchester, Britten Pears Orchestra and was principal double bass for Lorin Maazel’s Castleton Festival Orchestra. The five string players form the core of the ensemble and perform in different constellations depending on the occasion and the repertoire.